The ideal touring car with a spacious lower lounge, wine bar, full service bar, satellite T.V., CD, DVD with surround sound. 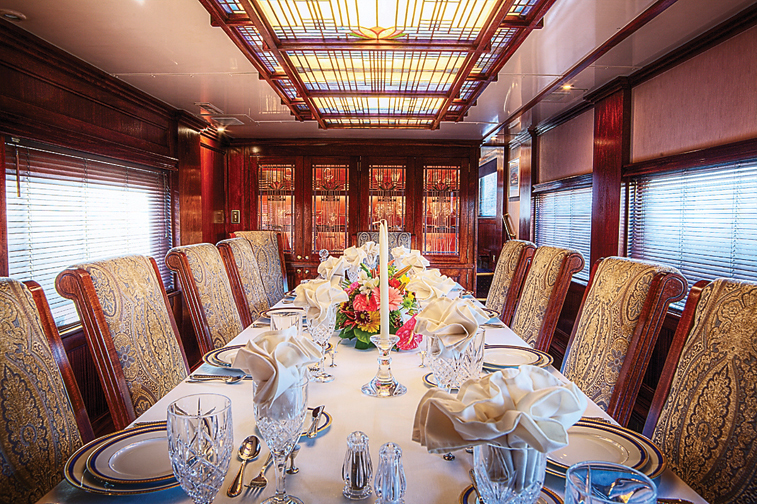 An elegant dining room that seats 12 in the lower level. The upstairs dome features lounge seating for up to 18 guests and dining for 12. Rich Honduras mahogany with plush carpeting and new upholstery. Observation platform with track lights for nighttime viewing. Excellent, friendly crew includes executive chef preparing meals on board. Interior completely refurbished in 2015. 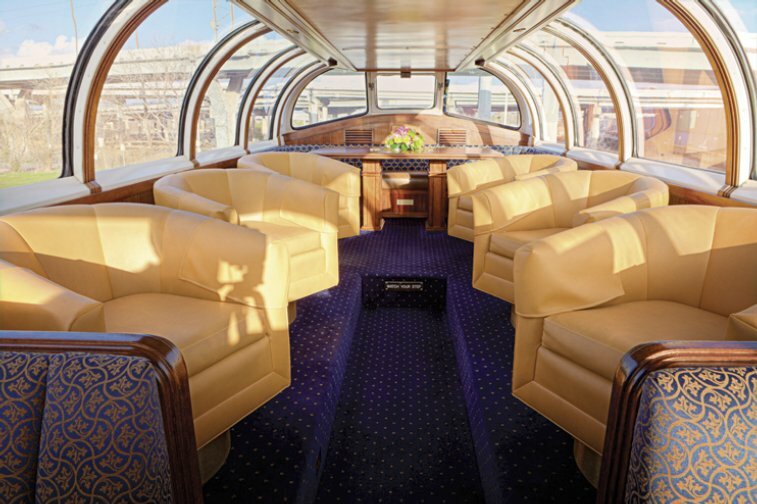 Built in 1955 for the Union Pacific as a dome-lounge-observation car. 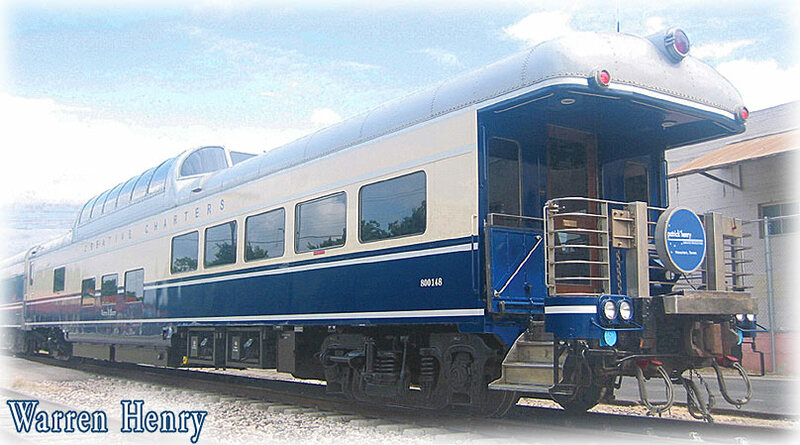 Acquired by Rail Ventures, Inc. in 2001 from the Wisconsin & Southern RR Co. and renamed Glacier Park. Sold to Creative Charters in 2004 and renamed Warren R. Henry.